TOKYO, April 2, 2012, /CNW/ – Sosei Group Corporation (“Sosei”; TSE Mothers Index: 4565), confirms the information released today by Novartis that the first three QVA149 Phase III studies in the treatment of chronic obstructive pulmonary disease (COPD) all met their primary endpoints. The SHINE, BRIGHT and ENLIGHTEN studies, which are part of the IGNITE program demonstrate the potential of QVA149 in the treatment of COPD. The results of SHINE, with an enrollment of more than 2,100 patients, met the primary endpoint by demonstrating the superiority in trough FEV1 (p<0.001) of once-daily QVA149 compared to once-daily indacaterol or once-daily NVA237 in patients with moderate to severe COPD. In addition, QVA149 showed superiority in trough FEV1 (p<0.001) compared to placebo and open-label tiotropium (18 mcg). The results of BRIGHT demonstrated that patients experienced significantly better exercise endurance versus placebo (p=0.006). ENLIGHTEN demonstrated that QVA149 was well tolerated with a safety and tolerability profile similar to placebo. QVA149 (indacaterol 110 mcg/glycopyrronium bromide 50 mcg) is an investigational inhaled, once-daily, fixed-dose combination of the long-acting beta2-agonist (LABA) indacaterol, and the long-acting muscarinic antagonist (LAMA) glycopyrronium bromide (NVA237). Data from the IGNITE clinical trial program will be submitted for presentation to a major medical congress later this year. IGNITE is one of the largest international patient registration programs in COPD comprising 10 studies in total. The first seven studies (ENLIGHTEN, BRIGHT, SHINE, ILLUMINATE, SPARK, BLAZE, ARISE) are expected to complete in 2012 and include more than 5,700 patients across 42 countries and support planned filings in the EU and Japan. Included in a program is a head-to-head trial vs Seretide® (ILLUMINATE), which is also expected to complete during the second quarter of 2012 and will be incorporated into the regulatory filings. These studies are designed to investigate the efficacy, safety, and tolerability, lung function, exercise endurance, exacerbations, dyspnea and quality of life. SHINE is a 26-week, multicenter, randomized, double-blind, parallel-group, placebo and active-controlled pivotal trial of 2,144 patients with moderate to severe COPD to assess efficacy in terms of trough FEV1. BRIGHT is a three-week, randomized, blinded, double-dummy, multi-center, placebo-controlled, three-period crossover pivotal trial of 85 patients with moderate or severe COPD to assess the effect on exercise tolerance of QVA149. ENLIGHTEN is a 52-week, multicenter, randomized, double-blind, parallel-group, placebo controlled pivotal trial of 339 patients with moderate or severe COPD to assess the safety and tolerability of QVA149. NVA237 (glycopyrronium bromide. Seebri® Breezhaler®) is an investigational long-acting muscarinic antagonist (LAMA) developed as a once-daily inhaled maintenance therapy for the treatment of COPD. Phase III data from the GLOW 1, 2 and 3 studies demonstrated that NVA237 increased patients’ lung function over a 24-hour period compared to placebo with a fast onset of action at first dose, as well as improving exercise endurance. It was submitted for regulatory approval in Europe in Q3 2011 and Japan in Q4 2011. Indacaterol (Onbrez® Breezhaler®) is Novartis’ once daily long-acting beta2-agonist (LABA). Novartis received European regulatory approval for 150 mcg and 300 mcg once-daily doses, under the brand name Onbrez® Breezhaler® in November 2009. In July 2011, Novartis announced approval of the 75 mcg once-daily dose in the US under the brand name Arcapta™ Neohaler™, and of the 150 mcg once-daily dose in Japan under the brand name Onbrez® Inhalation Capsules. 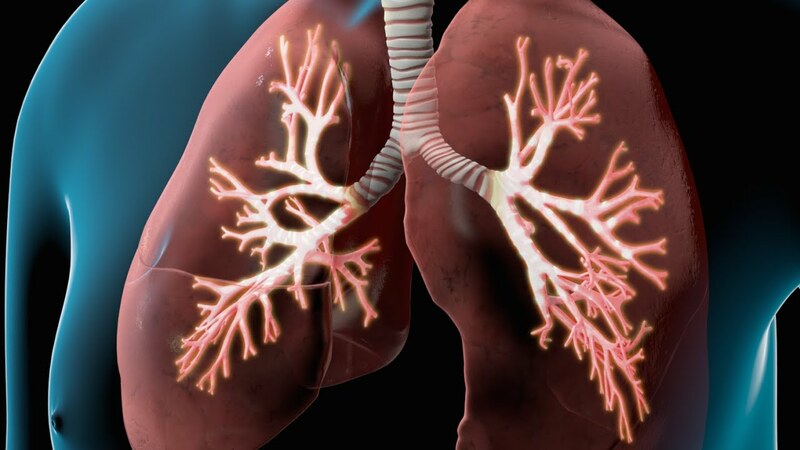 COPD is a progressive disease associated mainly with tobacco smoking, air pollution or occupational exposure, which can cause obstruction of airflow in the lungs resulting in debilitating bouts of breathlessness. It affects an estimated 210 million people worldwideand is predicted to be the third leading cause of death by 2020. Although COPD is often thought of as a disease of the elderly, 50% of patients are estimated to be within the ages of 50 and 65, which means that half of the COPD population are likely to be impacted at the peak of their earning power and family responsibilities. Sosei is an international biopharmaceutical company anchored in Japan with a global reach. It practises a reduced risk business model by acquiring compounds from and bringing compounds into, Japan through the exploitation of its unique position within global markets. For further information about Sosei, please visit http://www.sosei.com. Seratide® is a registered trademark of GSK. Global Initiative for Chronic Obstructive Lung Disease (GOLD). Global Strategy for the Diagnosis, Management, and Prevention of Chronic Obstructive Pulmonary Disease. Updated 2011. http://www.goldcopd.org/uploads/users/files/GOLD_Report_2011_Feb21.pdf Last accessed 23 March 2012. Global Alliance for Chronic Respiratory Diseases (GARD). Global surveillance, prevention, and control of chronic respiratory diseases: a comprehensive approach. Available at: http://www.who.int/gard/publications/GARD%20Book%202007.pdf Last accessed 23 March 2012. Fletcher, M, et al. COPD Uncovered: An International survey on the impact of chronic obstructive pulmonary disease (COPD) in a working age population. BMC Public Health 2011, 11:612. This press release contains forward-looking statements, including statements about the discovery, development, and commercialisation of products. Various risks may cause Sosei’s actual results to differ materially from those expressed or implied by the forward-looking statements, including adverse results in clinical development programmes; failure to obtain patent protection for inventions; commercial limitations imposed by patents owned or controlled by third parties; dependence upon strategic alliance partners to develop and commercialise products and services; difficulties or delays in obtaining regulatory approvals to market products and services resulting from development efforts; the requirement for substantial funding to conduct research and development and to expand commercialisation activities; and product initiatives by competitors. As a result of these factors, prospective investors are cautioned not to rely on any forward-looking statements. We disclaim any intention or obligation to update or revise any forward-looking statements, whether as a result of new information, future events or otherwise. Enquiries: Sosei Group Corporation Tokyo Office: Milica STOJKOVIC, Investor Relations, +81-(0)3-5210-3399, mstojkovic@sosei.com; London Office: Kathryn LYDON, PA to CEO & Corporate Communication, +44-(0)20-7691-0983, klydon@sosei.com.